I’m installing a PIXHAWK4 MIN with Firmware version 1.9Beta. I was using the firmware 1.9 because implemented hardware is not fully compatible with the 1.8 firmware (mainly regarding the GPS antenna). Sorry, I’m going crazy with a really strange behaviour with the throttle. 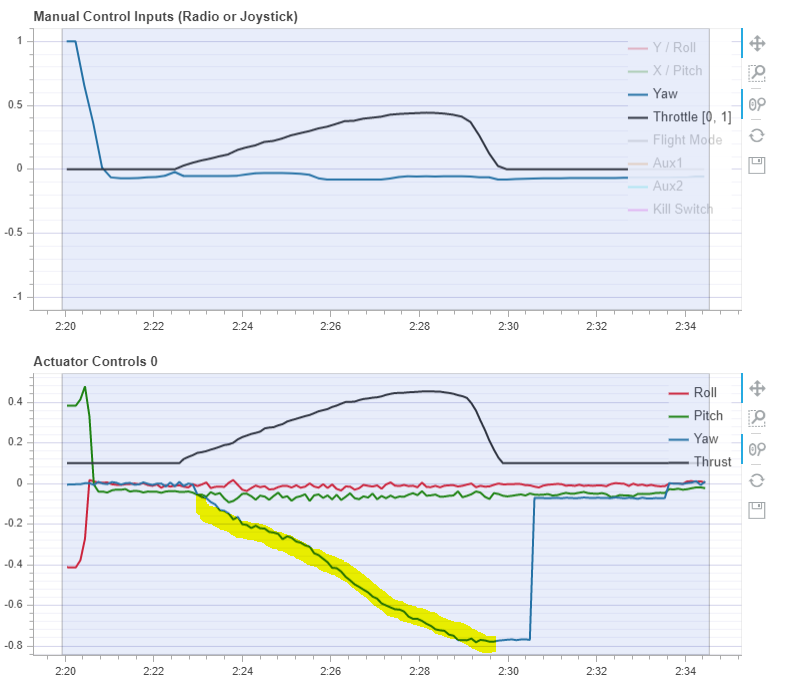 Compare the graph "manual control inputs" (throttle line) with "Actuator controls". 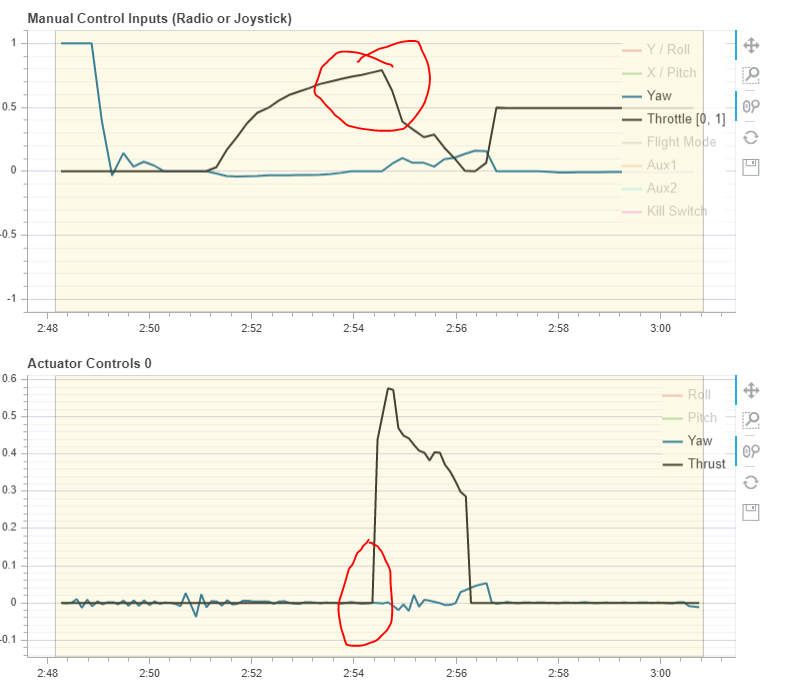 Compare the graph "manual control inputs" (yaw line) with "Actuator controls". For the fact that in altitude mode, nothing happens until about 75% throttle should be expected, although it should be about 60%, so 50% is to stay at the current altitude and then a deadzone above it before it starts to climb. Thanks for your explanation about altitude flight mode. I'm changing the pid to follow your suggestion.